If my last post acted as an introduction to Stephen King’s The Dark Tower, then this serves as a guide and suggested reading order to provide a greater experience. 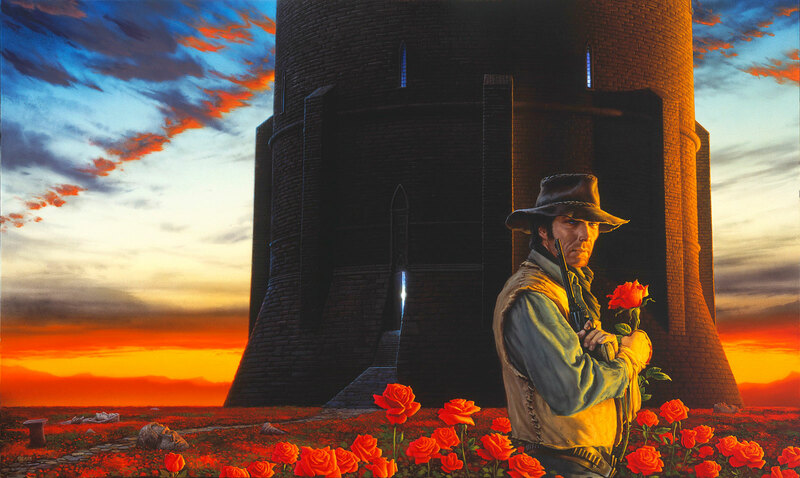 While you can just read The Dark Tower novels themselves, the inclusion of some of King’s other novels introduce certain characters that are key to The Dark Tower. The connections throughout the ‘Stephen King Multiverse’ are all tied to the evil throughout his stories, the character whose influences ripples throughout the multiverse is that of The Man in Black. 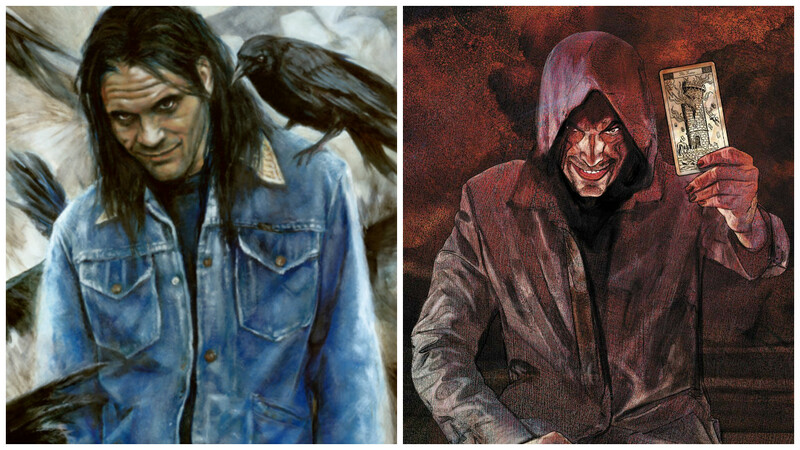 The Man in Black has many names, but veteran Stephen King fans will know him better as Randall Flagg, the main antagonist in King’s 1978 novel, The Stand. Flagg is an immortal wizard/sorcerer who ultimately serves The Crimson King and makes several appearances or is alluded to by name – it is strongly suggested that Flagg is the demonic entity behind the events of Children of the Corn (1977), appears in the medieval country of Delain, manipulating and causing havoc to the realm in The Eyes of the Dragon (1986). Flagg also gets referenced in Salem’s Lot (1975), which also features a member of Roland’s Ka-Tet (will return to that in a moment). And of course there’s Flagg’s appearances in The Dark Tower as The Man in Black, Walter O’Dimm, Marten Broadcloak, Richard Fannin. 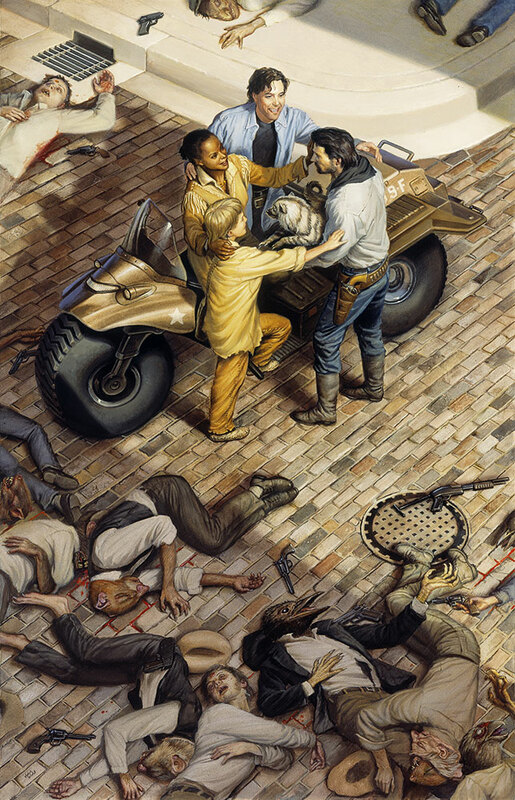 It’s also worth mentioning that while never confirmed by Stephen King, fans believe the character of Raymond Fiegler from the short story Blind Willie, included in Hearts In Atlantis (1999), is also Randall Flagg. Whether the case or not, Hearts in Atlantis does have its ties to The Dark Tower. He first appears in the novel, Insomnia (1994) where he seeks to murder a child named Patrick Danville, who is prophesied to bring an end to The Crimson King. 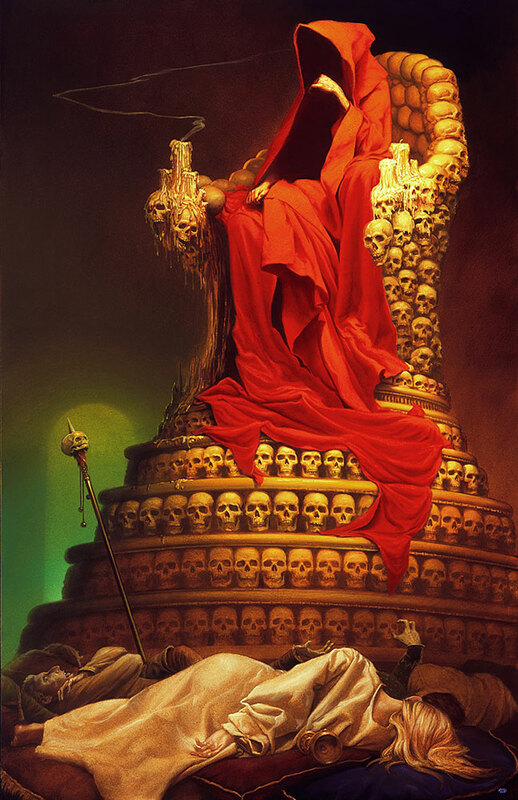 As The Dark Tower series progresses it becomes clear that The Crimson King has worked behind the scenes using Randall Flagg, John Farson, vampires, low-men and other supernatural entities to bring the destruction of The Dark Tower. 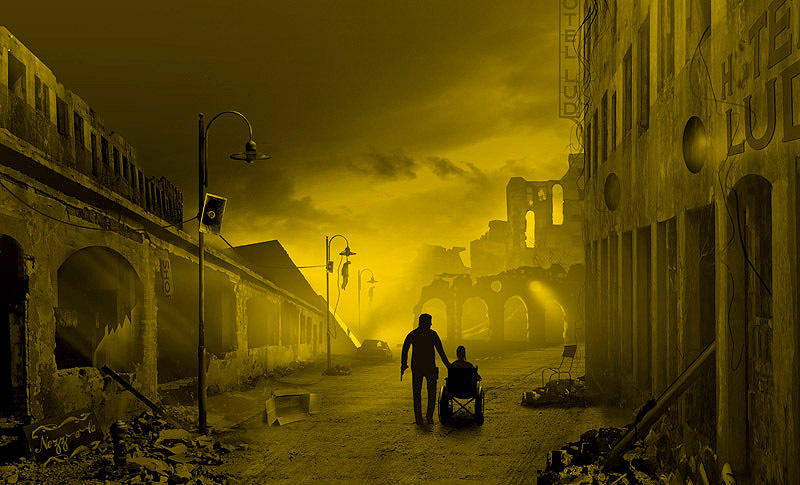 The Crimson King is mentioned in the story, Low Men in Yellow Coats in the collection Hearts in Atlantis (1999) which also features Low Men or Can Toi, which also appear in Desperation (1996). Finally we have Father Callahan, first introduced in Salem’s Lot (1975) and reintroduced in the fifth book in The Dark Tower series, Wolves of the Calla. I personally feel that having read Salem’s Lot before this book makes Callahan’s arc all the more enjoyable – we’re shown what happened to him after the events of Salem’s Lot, but being familiar with the story adds so much more to Callahan’s story of redemption. As most people know, I’m a big fan of Stephen King. I find the stories and characters engaging, visualising myself in the shoes of the main character. My first Stephen King book was Salem’s Lot, followed by the first two Dark Tower books (The Gunslinger & The Drawing of the Three), after reading these I dipped into other King books in no order and took my time with The Dark Tower. Overall taking me almost five years to finish the series, but I feel my experience has been enhanced by all the Stephen King I read in between. I should also mention that the series connects to a lot more of King’s work such as IT, The Shining and more; but felt the material mentioned here to be the most important to the story. There are lots of guides or suggested reading orders to the series, go with whatever you feel is best. Read the series in chronological order or break it up with other books, but do not forget the face of your father. Below is a recommended reading order, it’s not the order I read them in but I feel it’s a good starting point for newcomers and demonstrates the craftsmanship behind Stephen King’s world building. Covert Coot: What is The Dark Tower? You may or may not know, but Sony Pictures are finally bringing an adaptation of The Dark Tower to our screens with a scheduled release of February 2017. Those familiar with the series will know that the project has been bounced around studios for well over a decade, with the only reliable information that Ron Howard was set to direct. With the film slowly coming together and the promotional campaign kicking off – I guess you can say that for long term fans, it’s been a long time coming. Entertainment Weekly’s Comic Con cover. 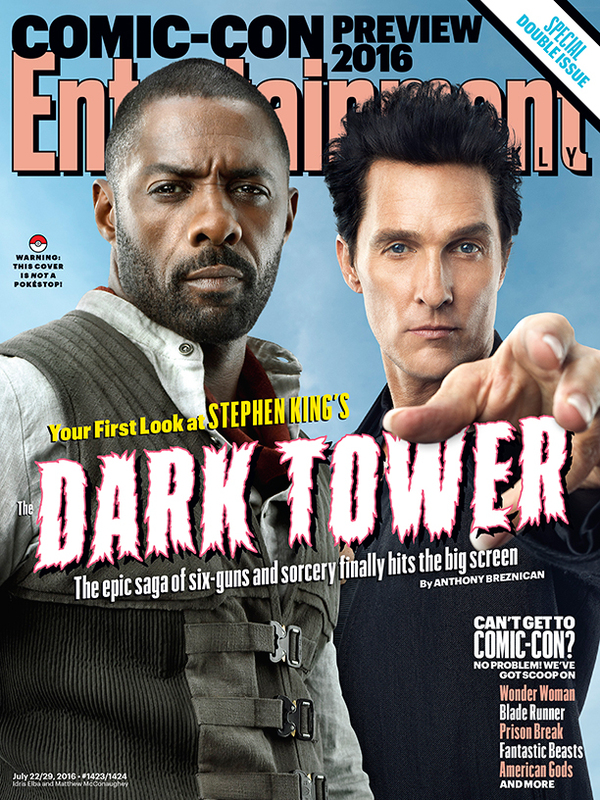 With the announcement of The Dark Tower movie and the casting of two terrific actors in the lead roles – Idris Elba and Matthew McConaughey – the series has renewed interest with existing fans rereading the books and analysing every little update on the film, but also introducing new fans to one of the most popular series in fiction. What is The Dark Tower? I suppose this is the big question for newcomers to the series and I will do my best to sell the series to you spoiler free. The Dark Tower is an epic fantasy/scifi/horror series written by Stephen King. 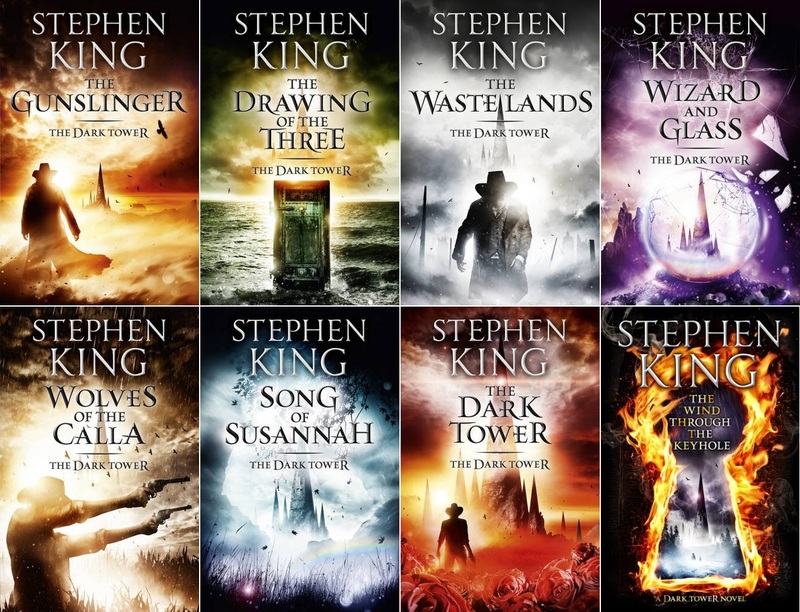 The series consists of eight books and over 4000 pages of material, furthermore The Dark Tower has a number of ties to other works by King (I’ll expand on this in next week’s post). The story features Roland Deschain, the last gunslinger who is on a quest of epic proportions to reach the Dark Tower – the quest, as well as other elements of the series were heavily influenced by Lord of the Rings and spaghetti westerns such as, The Good, The Bad and The Ugly. Roland isn’t alone on the quest as he is joined by Jake Chambers, Eddie Dean, Susannah Dean and Oy. Their journey takes through different worlds, but primarily takes place throughout All-World which is comprised of In-World, Mid-World and End-World. 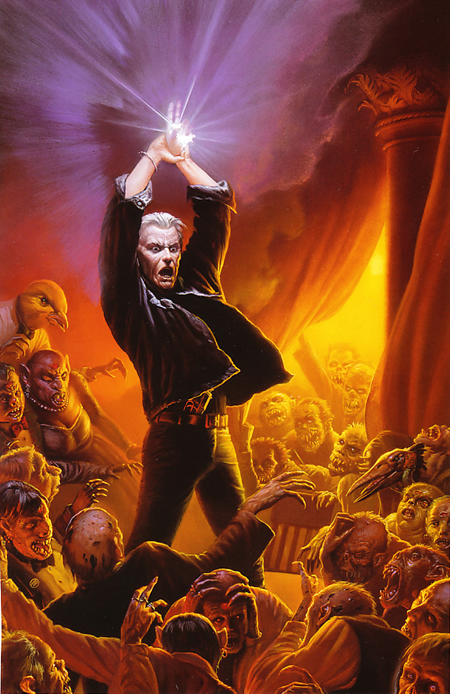 Naturally our little band of heroes come across some resistance and come face to face with mutants, vampires, werewolves and of course The Man In Black & The Crimson King – both of whom appear or are referred to in a number of King’s novels. Along the way we learn more about the characters, the world and of course the Dark Tower itself, which is the glue that holds the universe together. 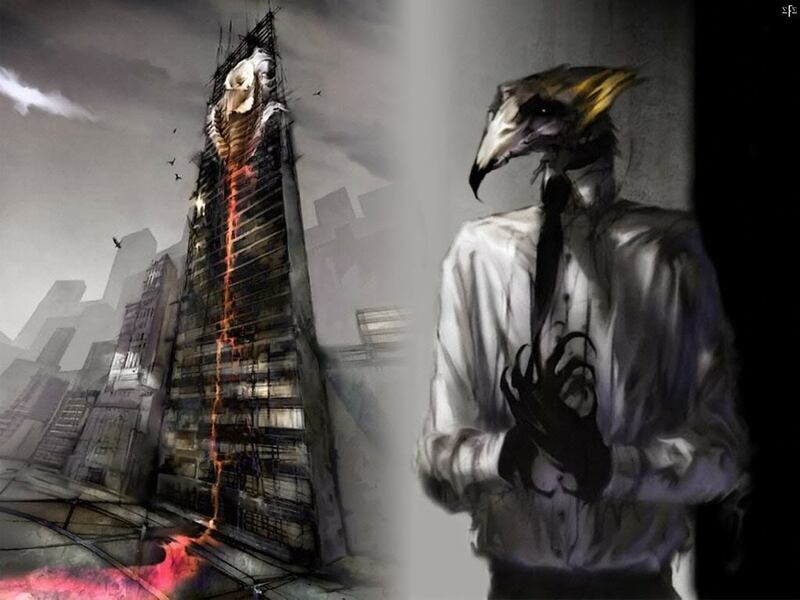 With connections to a lot of King’s other work, the idea that the fate of the ‘Stephen King Multiverse’ rests upon the Dark Tower adds to the urgency and importance of the overall quest. Now, I said I was going to keep this as spoiler free as possible and hopefully I’ve managed that, but I also wanted to expand on some of these points and write about the added experience of reading the comic books in The Dark Tower universe, as well as the other novels by Stephen King that add to the series. 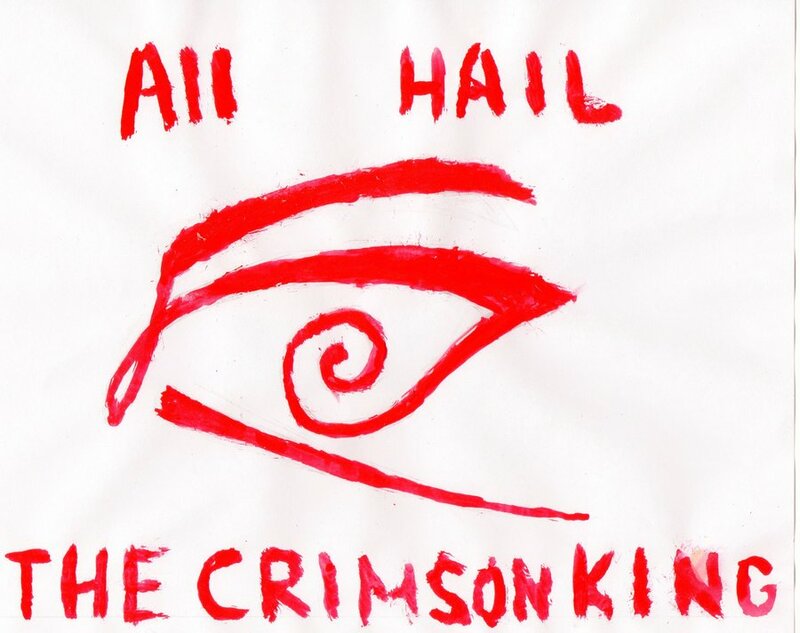 After all, I mentioned the antagonists of The Man In Black & The Crimson King appearing in other novels, but there are other characters that do so too and all in very important ways. So come back next week for a Beginners Guide to The Dark Tower. If you weren’t already aware, Netflix’s BoJack Horseman returned with season three yesterday (22nd July), and after two seasons and one Christmas special, we the audience know what we’re in for… or do we? To those unfamiliar with the show it must seem like your run of the mill, foul mouthed animated comedy. But BoJack Horseman is much more than that, what the show presents us with is some of the most relatable characters ever created and puts them in situations parodying topical events in the real world, finally sprinkled off with pop culture references. 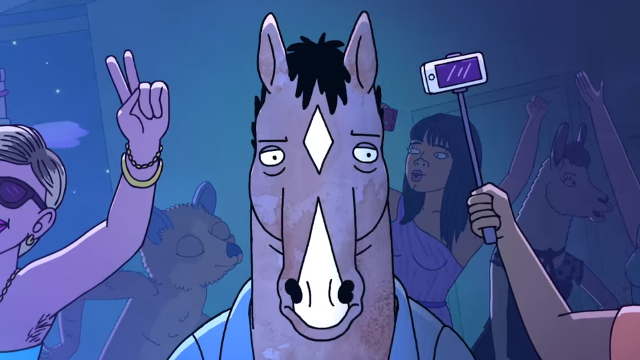 Every season, every episode to date has been meaningful and to some people, myself included, meaningful on a more personal level – BoJack is ironically the most human character on TV today. Season three kicks off hot of the back of season two with BoJack on a press tour building up to the release of the highly anticipated, Secretariat. 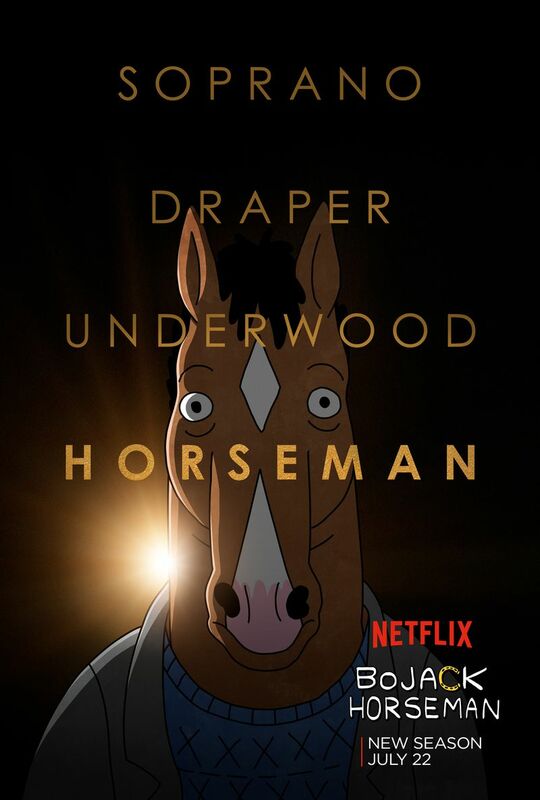 With rumours that Secretariat and BoJack himself being nominated for an Oscar, we see BoJack’s career head in the direction he’s always wanted and finally reinventing himself as ‘BoJack Horseman, movie star’ as opposed to ‘that horse from Horsin’ Around’ – but if only it was that simple. 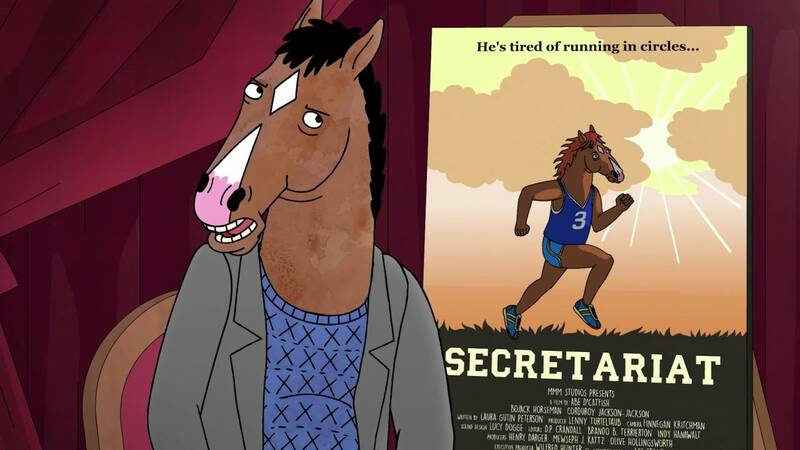 The tagline for ‘Secretariat’ is ‘He’s tired of running in circles…’ and in a number ways, isn’t that what BoJack is doing? This season focuses more on the inner struggle of the cast as we’re given a flashback episode back to 2007, this episode puts a lot of things into perspective by showing the then and now, it all shows us that the characters are still in the pursuit of happiness. Example of this is we see BoJack also trying to free himself of just being ‘that horse from Horsin’ Around’ by developing another tv show which ultimately fails. We’re also given an episode at an underwater film festival and without giving away too much, the episode is almost entirely silent which adds to the tone and makes BoJack’s actions even stronger. I feel that quote stands out more throughout this season as it becomes clearer that even with the success of his professional career, none of it will fill the empty hole inside, BoJack will never be happy. Luckily it’s not all doom and gloom, well, it is very doom and blood but as we’ve come to expect all the feelings of existentialism and self-destruction are sugar coated. You may still be questioning your life after watching but for all the bleakness, there’s the balance of light hearted humour. BoJack Horseman is a show that still doesn’t hold back or pull its punches, despite its serious tone we still feel love for the characters and we still want more of them. It’s a damn good thing that the show has also been picked up for a fourth season. Stranger Things is Netflix’s new original series written and mostly directed by Matt & Ross Duffer, aka ‘The Duffer Brothers’. 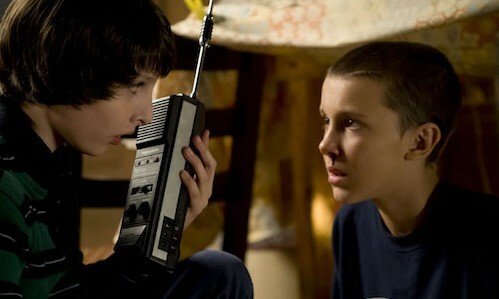 The show’s set in 1983 and focuses on the mysterious disappearance of a young boy, Will Beyer. While watching the show it was clear that it was paying homage to a number of films and work from the 80s, most notably films like The Thing, The Goonies, Stand By Me, E.T. and much more. The show is sprinkled with 80s movie charm and adventure, topped off with a soundtrack that’s reminiscent of John Carpenter’s film scores. Stranger Things will definitely tickle the nostalgia buttons and have the audience longing for their in adventure, that being said, the show is more than enjoyable in its own right and at just eight episodes the story remains focused and well-paced. Being born at the start of the 90s and my siblings from the early 80s, I have a huge soft spot for the movies that influenced this show and I feel that having that familiarity definitely increased my enjoyment of the series, but like I already said the show functions very well by itself without the knowledge of what influenced it. The cast feature Winona Ryder, David Harbour and Matthew Modine among the adult cast and they fill their roles perfectly, doing a great job of making their characters feel real and genuine. But the real spark comes from the young cast who are on par with the adult cast as they search for their missing friend, demonstrating a friendship that is both charming and convincing on screen. 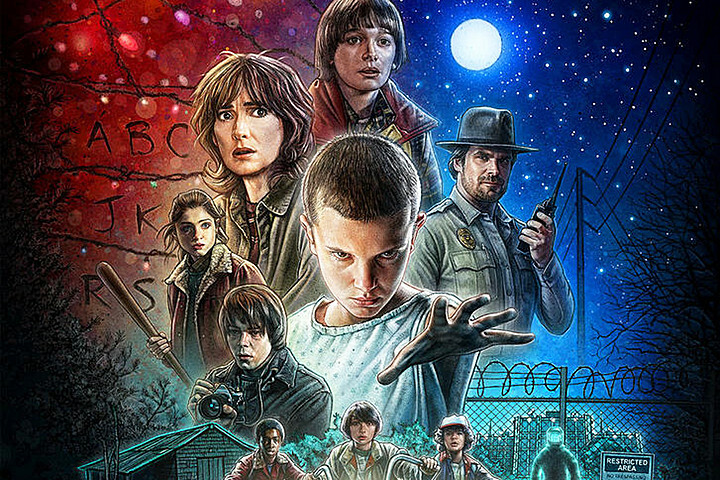 Stranger Things is an enjoyable series and incredibly easy to binge (I haven’t slept yet). If you have a love for 80s cinema then you’ll love the show, even if you’re unfamiliar with 80s cinema you’ll still find something to enjoy here. The show takes elements that worked and pays homage to the films that influenced it, creating an unnerving and chilling mystery. The Duffer Brothers know their stuff, from the work of Spielberg, John Carpenter and Stephen King; right down to their attention to detail with the 80s setting. With the Arkham games about to enter the realm of VR, a new Spiderman game in development and superhero movies being at the height of their power, now seems like as good a time as any to talk about how to make a good superhero game. It’s no secret that superhero games aren’t always up to scratch. Superman 64, Aquaman and The Amazing Spiderman (to name a few) weren’t exactly the best showcase for the genre. But if Rocksteady proved anything with their Arkham games, it’s that a superhero videogame can be great if you do it right. So over the past week I’ve been thinking long and hard about what makes a superhero game good, and where the others have fell short. Let’s start off with the star of the genre. 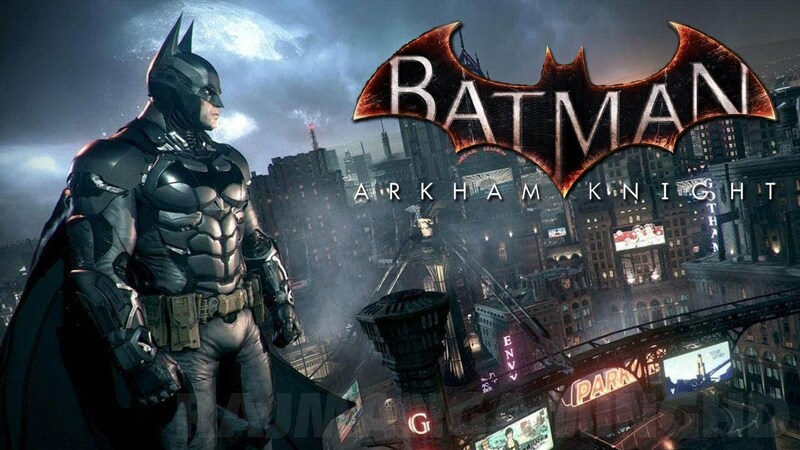 The Arkham games deliver some of the best superhero action to be found in a game, thanks to the gameplay, style and how deep the developers go into the extensive source material at their disposal. Rocksteady and Warner Brothers faithfully create a dark, bleak open world for you to explore, full of Easter Eggs, references and fan service, and this goes a long way in giving fans what they want. Other games have attempted this. 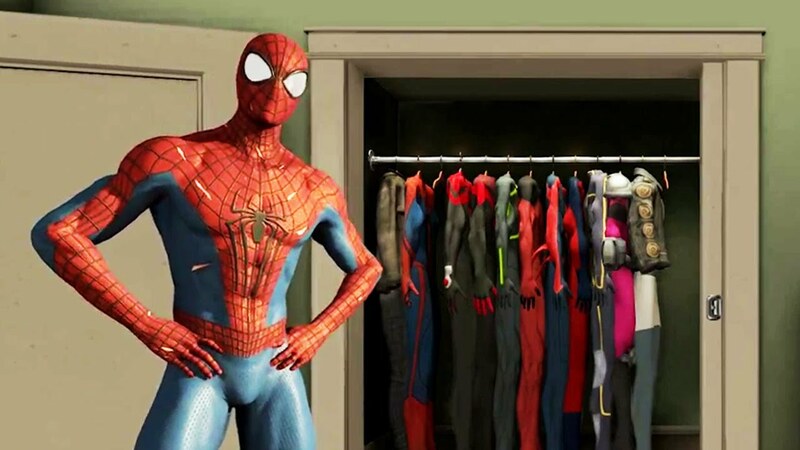 The range of costumes to unlock in The Amazing Spiderman 2 provides some fun little nods to the different looks and iterations of Spidey over the years, but this doesn’t even come close to the level of depth that the Arkham games bring to the table. The suits are cool, but this is mainly a cosmetic feature, and aside from changing a few of your base stats, doesn’t impact the rest of the game. The Arkham games have a whole list of riddles, most of which reference an unseen character or event from the comic book world. Solomon Grundy’s hideout in Arkham Knight springs to mind, along with being able to spot Arkham Asylum from the docks. It relies on your knowledge of the lore and background, but isn’t so impenetrable as to alienate casual gamers. Spiderman: Shattered Dimensions did better than most for a similar reason. 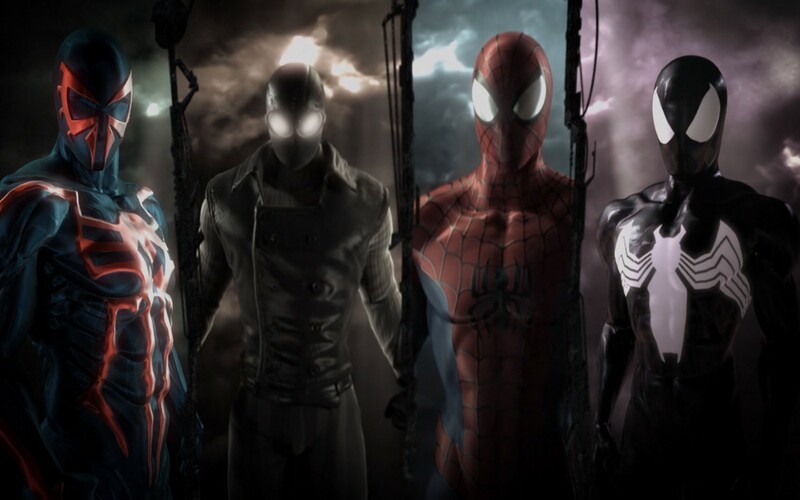 It gave four different Spidermen, each with distinct personalities, gameplay and art styles. This gave genuine diversity to the game, as well as providing fan service to lovers of the different universes. Good gameplay helps proceedings too, and again we return to the Arkham games. The simple to understand controls and incredibly satisfying free flowing combat mechanic was revolutionary in Arkham Asylum and perfected by Arkham Knight. The Amazing Spiderman 2 attempted to replicate this with less-than-impressive results. The reason it didn’t work as well in my opinion, leads me to my second (and main) point. The most important thing in making a good superhero videogame is making the player feel like the hero they’re playing as. The Arkham games had an acrobatic and hard-hitting combat mechanic that made you feel like a true badass, as any Batman game should. Spiderman’s fighting style should be less (for lack of a better word) heavy than Batman’s. I personally can’t think of a gameplay style that would fit Spidey perfectly, but that’s why I write about games, not make them! The combat in Arkham Asylum was perfect for Batman, and adopting it to another superhero might make for a better game than some of the superhero failures, but if it doesn’t match that hero, it won’t be as amazing as the first time you cracked a skull on Arkham Island. There is one advantage that the new Spiderman game has. An advantage that the Arkham games had, and the lesser games don’t. 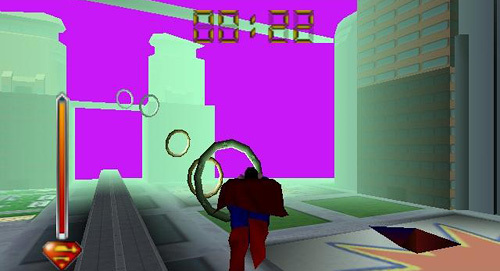 Many of the bad superhero games are rushed onto the shelves to coincide with a movie release. This leads to an unpolished (and at times, unfinished) title. 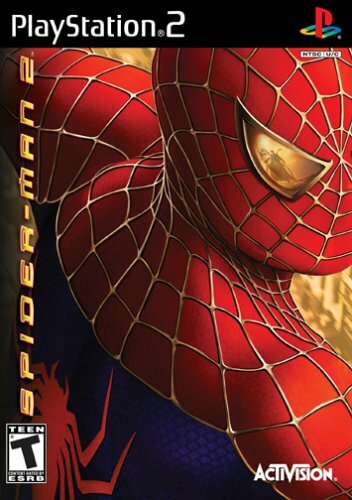 Admittedly, Spiderman 2 for the PS2 defied this trend, delivering a solid game that tied in with a movie. The most important thing for any superhero game is to make you feel like the superhero you’re playing as, but it’s also important to balance challenge and progression. It’s for this reason that Superman may struggle to have a good video game outing. It’s hard to take someone as powerful as the Man of Steel, and still make the experience challenging. I suppose you could make a game where you fly through a series of hoops until the credits roll? That could potentially be fun? 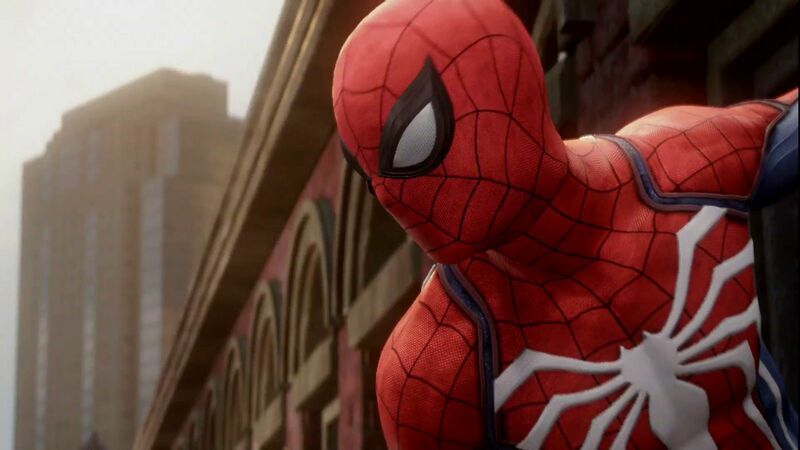 If they give Spidey his own gameplay style – one that suits him like the freeflowing combat suited Batman – it could be a superhero experience to rival that of the Arkham series. 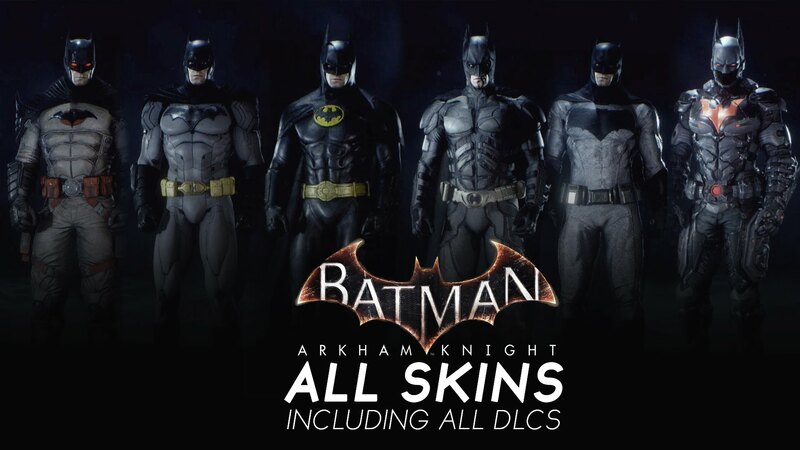 If it’s yet another Arkham rip off, we’re in for more disappointment. Only time will tell, but I’m definitely looking forward to finding out. …That’s this week’s VuePoint!!! Check back tomorrow for a new BearSleuth Opinion Piece!! !